The geologist-turned-painter loves watercolours, food and what Calgary’s chefs are doing right now. All of that is Neil Dawson’s artistic inspiration. 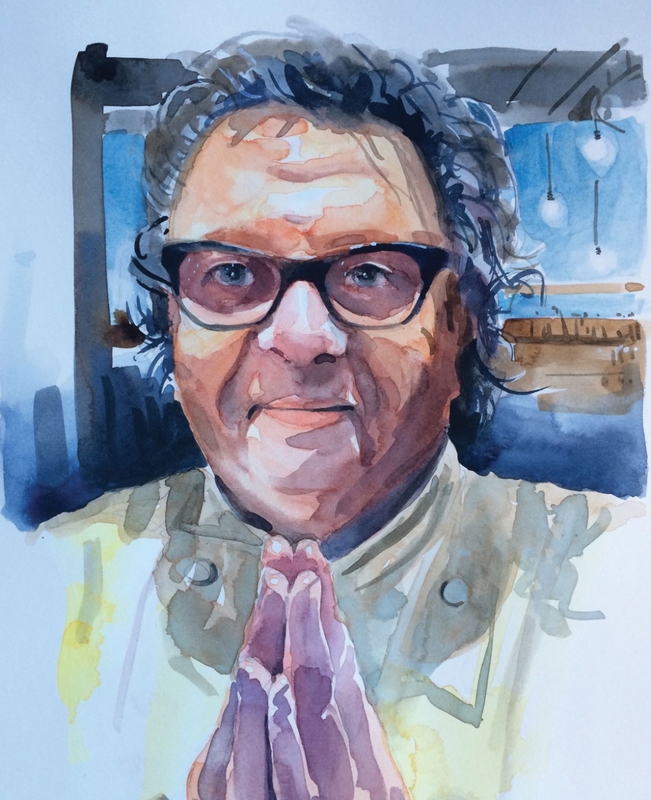 Neil Dawson’s portrait of chef Vikram Vij. As a geologist, Neil Dawson studied the earth and its minerals, working in the oil and gas industry for more than 30 years. But, when the flow of work went from a gush to a trickle, it was an opportunity to revisit his studies in watercolours and gouache by focusing on his passion for painting. Dawson’s artistic tendencies began in childhood, when his art school-trained father would give him drawing assignments. Since then, he’s kept a pocket sketchbook with him everywhere he goes, and has painted or drawn everything from the river near his home to the classic Canadiana scene of shinny hockey. As heartwarming as his work can be, his latest interest comes straight from the stomach. Dawson has turned his brushes on the people and places who make up Calgary’s culinary class: Charcut‘s Connie DeSousa and John Jackson, Whitehall‘s Neil McCue and the scene at Village Ice Cream. His portfolio even includes appearances by visiting chefs like Ryan O’Flynn and Vikram Vij. “I love food, I love what chefs are doing these days, I think it’s a real focus point for culture,” he says. Next for Dawson is a large canvas destined for Whitehall’s private dining room, after which he’ll turn his focus to the kitchens – capturing the people working behind the scenes and “on the line” – with the hopes he’ll be able to showcase his food worker series in a show this October. To see more of Dawson’s work, visit neildawson.ca. 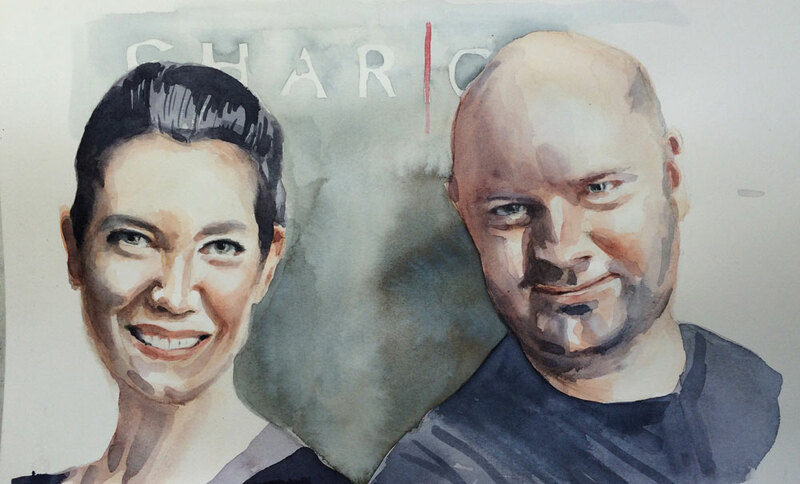 Double portrait of Charcut and Charbar’s Connie DeSousa and John Jackson.